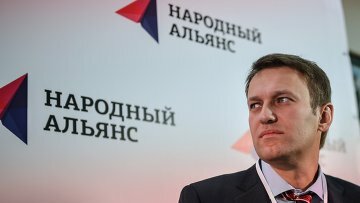 Mistake in constituent documents prevents registration of Navalny party’s branches | Russian Legal Information Agency (RAPSI). MOSCOW, April 9 (RAPSI) – The applications to register the branches of the Party of Progress, established by the allies of opposition leader Alexei Navalny, have been rejected because the party’s Central Council secretary is not authorized to sign the documents from regional branches, the Justice Ministry told RAPSI on Wednesday. The Party of Progress was registered on December 25, 2013. Initially called People’s Alliance, it was denied registration because its name was confusingly similar to an existing registered party. The party convention then amended its charter to rename the party the Party of Progress and appointed Vladimir Ashurkov secretary of its Central Committee. Under Russian law the Party of Progress must have a branch in at least half of Russia’s regions. According to the Justice Ministry, the law On Political Parties stipulates that the authority to sign applications to register a regional branch must be confirmed by decision of the party’s convention. “Vladimir Ashurkov was only authorized by the convention of the People’s Alliance party, held on November 17, 2013, to sign and certify such documents regarding the party itself, but not its regional branches,” the ministry’s press service said. Moreover, a branch can be denied registration if the party fails to comply with the provisions of the abovementioned law. An informed source told RAPSI that the party can easily adjust this error. 12:57 09/04/2014 The applications to register the branches of the Party of Progress, established by the allies of opposition leader Alexei Navalny, have been rejected because the party’s Central Council secretary is not authorized to sign the documents from regional branches.